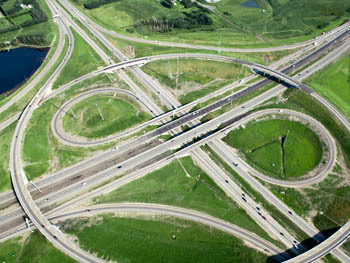 In 2011 residents of Twin Brooks fought the city's plan to extend 119 St south from 23 ave, across the Whitemud Ravine, and down through Twin Brooks to Anthony Henday Drive. When residents made it clear the majority of them did not want this roadway through our nature preserve and quiet neighbourhood, Twin Brooks Community League supported the committee that worked hard to have this removed from the transportation plan. Traffic Calming on 9 Ave, 12 Ave, and 116 St. In 2012 the City of Edmonton announced that they had contracted a consultant to design traffic calming (slowing) through Twin Brooks. The consultant came up with a plan where several traffic circles, boulevards, and sidewalk extensions were to be built along the road in many places. Twin Brooks Community League conveyed the info to residents and offered residents a place to meet to discuss this. Residents were unanimously against this, primarily because of the safety hazards it would create with massive loss of sight lines in winter. 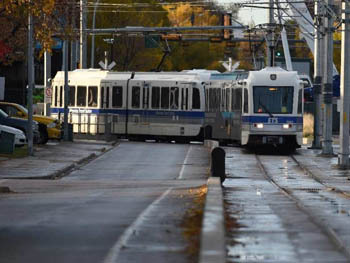 The LRT is slated to eventually come down 111 St through Twin Brooks, then across our southern edge beside the Henday before turning south down 127 St. Twin Brooks Community League will work to provide information and resources to the community to ensure proper planning of this project. 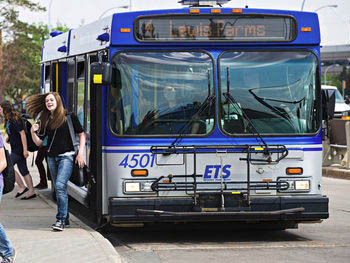 Do you have any concerns, ideas, suggestions or questions about transportation in and around Twin Brooks? Contact the Twin Brooks Community Leage and let us know. Or, better yet, get involved!